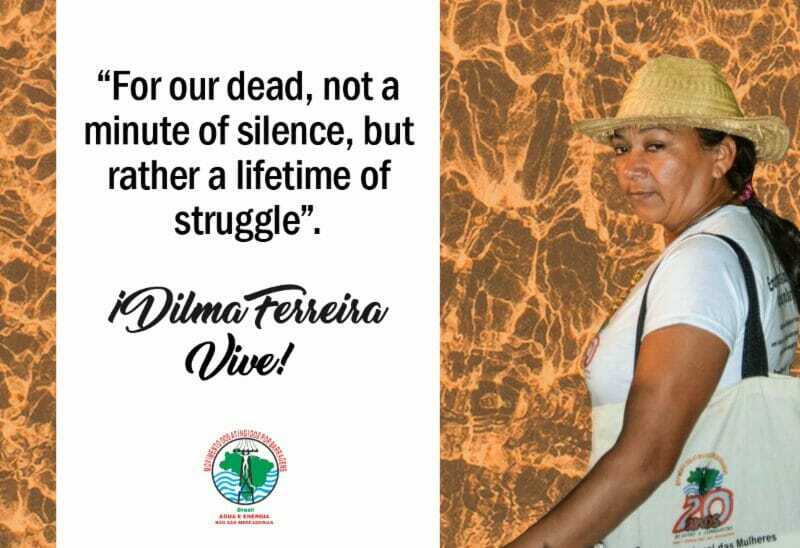 April 8, 2019 – In the face of the brutal crime committed on March 22nd against a coordinator of the Movement of Dam-Affected Peoples in Brazil, the undersigned human rights and environmental organizations call on Brazilian authorities and multilateral organizations to ensure that the country’s obligations regarding the protection of human rights and environmental defenders are enforced. The incoming administration of President Jair Bolsonaro has intensified recent attempts to undermine Brazil’s progressive legislation on environmental protection and human rights – especially those of indigenous peoples, quilombolas (descendants of African slaves), family farmers and other traditional populations. Such attempts have often clashed with Brazil’s progressive Federal Constitution, approved in 1988 during a period of redemocratization that followed military rule. Backsliding on public policies, together with public statements that incite violence in conflictive areas, are seriously increasing the risks faced by human rights and environmental defenders such as Dilma Ferreira Silva. Consult the full list of organizations that signed the statement.